Electronic Arts says it will no longer license gun brands for its games, but it will continue to use them. 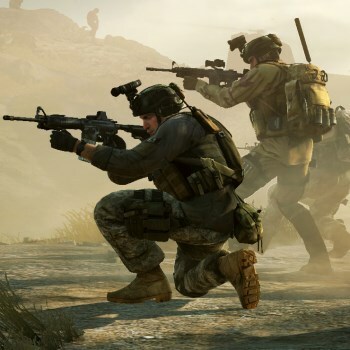 Remember how Electronic Arts hooked up with gun manufacturers McMillan Group and Magpul last year for some cross-promotional action that used a "virtual showroom" of real-life firearms to tout the realism of Medal of Honor: Warfighter? This year it's trying the opposite approach, distancing itself from weapons makers by saying that it will no longer pay for gun brand licenses in any of its games. Rather surprisingly, however, EA said it wasn't the dicey politics of gun control or the virulent anti-game rhetoric of the NRA that led to the decision, but simply that it doesn't believe the licenses are necessary in the first place. That distinction makes the move something of a split hair, because while it looks like a good PR maneuver at a cursory glance (at least from the anti-gun perspective), the bottom line is that real-world guns, admittedly an important element in any "realistic" shooter, will be as prevalent as ever. "We're telling a story and we have a point of view," EA Labels President Frank Gibeau said. "A book doesn't pay for saying the word 'Colt,' for example." EA actually made a similar argument about a different kind of weapon system in early 2012, when it claimed a First Amendment right to use Bell Helicopter aircraft in Battlefield 3 without paying to license them. That case, which could go a long way toward determining whether gun makers pursue legal action against EA for unlicensed use of their products, is scheduled to go before a jury in June.